"This is not something like an exhibition ... this is real combat that determines those guys' future in the NBA. They are coming for real, which for us is a great opportunity to gel, gain experience and improve," said Li, a sharpshooter on China's team at the 2008 Olympics. Li, who was on that 2007 summer league roster, said it's an ideal test for his players in real competition because they will need at least a month of recovery after the CBA season wraps up in mid-May. "Any time you face NBA-level teams is a great opportunity to learn and improve. We will try to figure out how we can be competitive in the summer league while trying to build chemistry on a roster merged from two lineups," he said. In the summer of 2017 the Chinese national program launched a dual-team experiment initiated by CBA chairman Yao Ming. The large pool of players was split into two lineups－Red and Blue－with independent coaches, aimed at doubling the opportunities for homegrown talent at international level. After alternately representing China at the World Cup qualifiers and the 2018 Asian Games, the two squads merged last September. Li was handed the reins to lead the host at the World Cup, which will be played in eight Chinese cities. Drawn in Group A with Cote d'Ivoire, Poland and Venezuela, Team China aims to earn direct qualification for the 2020 Tokyo Olympics through the 32-team FIBA tournament by either advancing to the quarterfinals or finishing as the highest-ranked Asian squad. Last year, the NBA summer league set a record for total attendance (139,972) and matched its single-day attendance record (17,500), which was established in 2017. The Portland Trail Blazers defeated the Los Angeles Lakers 91-73 in the championship game. ESPN and NBA TV combined to amass 30.4 million viewing hours as fans across social media platforms accounted for more than 565 million video views－an increase of 35 percent over 2017. 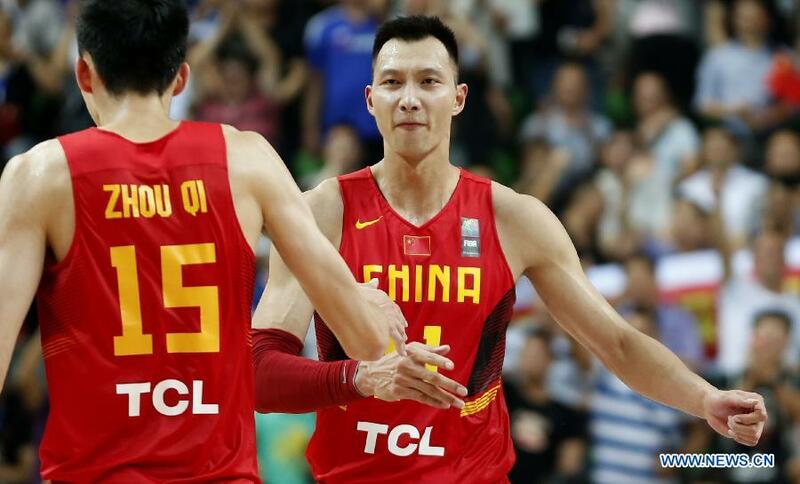 Team China is embracing the NBA Summer League in Las Vegas as a valuable test ahead of the FIBA World Cup.